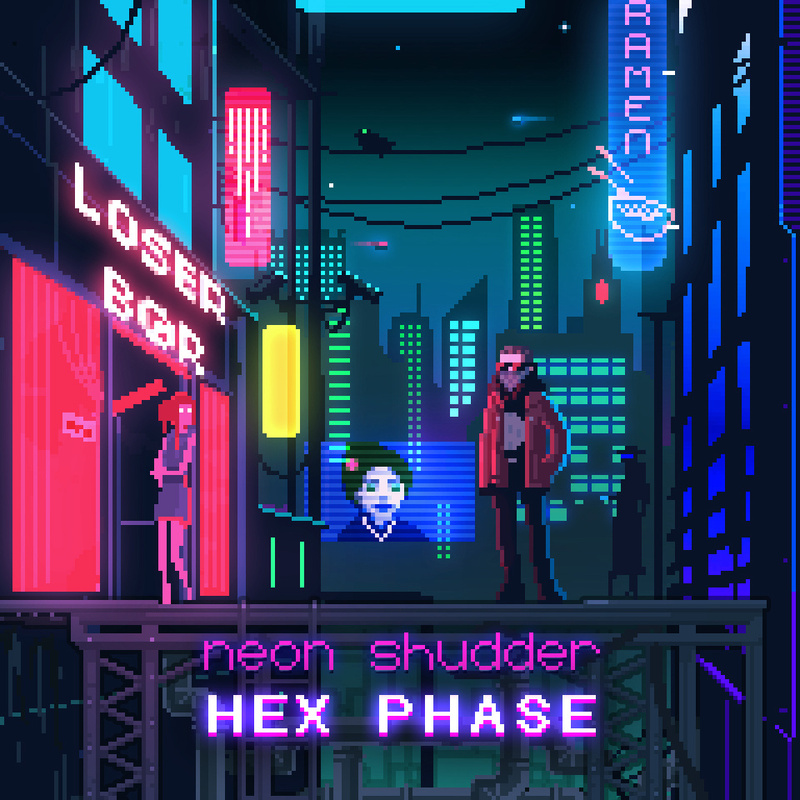 Hex Phase is the new 5-tracker from none other than Neon Shudder a finalist from 2014’s darkest albums of the year. This newer release is an absolute ode to the late 1980s futurism that should have been realized via the soundtrack of a Sega console. I am about to head out to the desert in a few days and will be playing this album during my long journey throughout. I’m going to play it for friends, but mostly I will play it for myself. The standout for me is the carefully thought out and well orchestrated “Petrichor”. This track does everything I need it to. It builds and carefully disassembles its self like a fine art. Before you know it this album is over though. It is a fast player. It comes and it goes quickly. This entry was posted in Music and tagged 80s, ambient, cyberpunk, darksynth, ELECTRO, Electronic, Hex Phase, industrial, Neon Shudder, outrun, Philadelphia, Synth, Synthpop, synthwave. Bookmark the permalink. I love when a song has the ability to instantaneously get my attention. Very good choice of music here! subscribed! Check out my blog if you ever have the chance!